So Windows 10 is now live (as you've probably noticed), and Microsoft is following up the launch of its new operating system with some fresh hardware designed to take advantage of various Windows 10 features. First up, Redmond is launching a new wireless keyboard and mouse set. 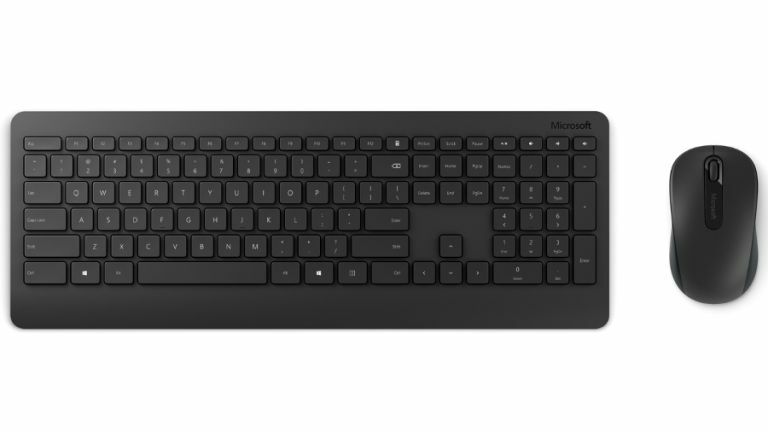 The Wireless Desktop 900 consists of a keyboard with “quiet-touch keys” that Microsoft promises will offer a responsive typing experience, along with a full-size mouse that can be used by left-handers as well as right-handers. These peripherals are plug and play as you'd expect, and offer a 30-foot range along with AES encryption for wireless security. They also play nice with Windows 10, with the Mouse and Keyboard Center software allowing one-touch access to the likes of Cortana and virtual desktops. The Wireless Desktop 900 launches on October 8 priced at £49.99, although the Wireless Mouse 900 will also be sold separately at £29.99 (this will launch a week later). Microsoft is also pushing out a new Bluetooth mouse, which will also be available on October 8 priced at £29.99. The Bluetooth Mobile Mouse 3600 follows on from the 3500 model, and is Windows 10 compatible with Bluetooth 4.0 SMART technology. The mouse is available in black, red or blue, and features a four-way scroll wheel to allow for scrolling across as well as up and down, plus it's a compact and portable device, which Microsoft promises is comfortable to use. Some of Microsoft's existing peripherals are also set to be updated with AES encryption on the security front and Windows 10 features. These are the Wireless Desktop 850 and Keyboard 850, with the refreshed versions launching September 30, and the Wireless Desktop 3050 and Wireless Desktop 5050 sets which will appear late in October. So there will be plenty of choice for Windows 10 users looking for official Microsoft wireless peripherals this autumn.